The lining surface epithelium and epithelium of the glandular ducts is infiltrated with lymphoid cells which results in the formation of a lymphoepithelium. 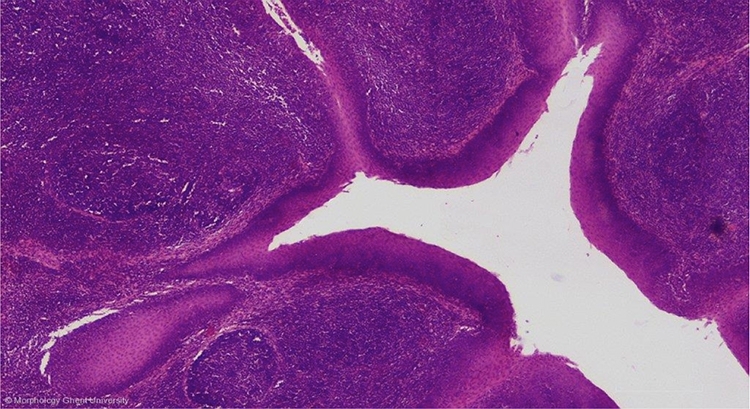 The lymphoid tissue in the lamina propria consists of primary and secondary follicles of B lymphocytes, divided by interfollicular areas of T lymphocytes. High endothelial venules (HEV) are present in these areas.